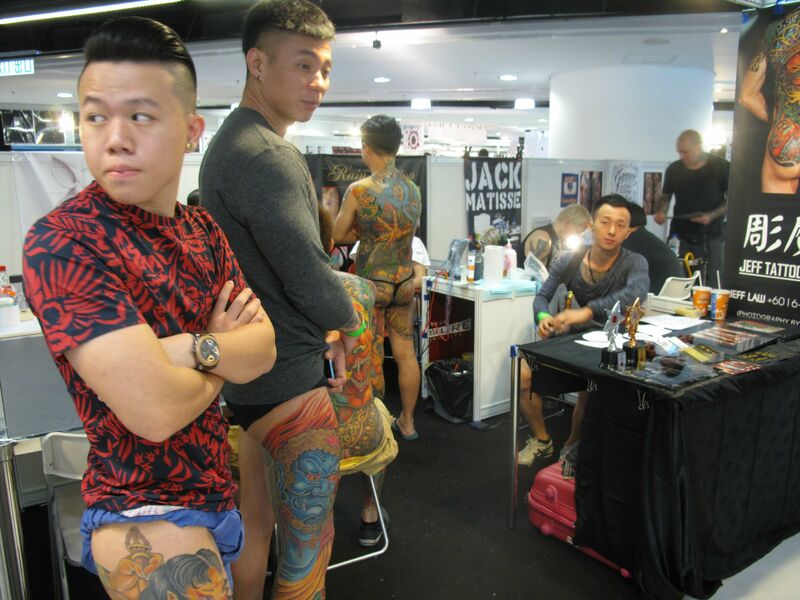 Dozens of tattoo artists from around the world converged on Kowloon Tong over the weekend for the third annual Hong Kong International Tattoo Convention. 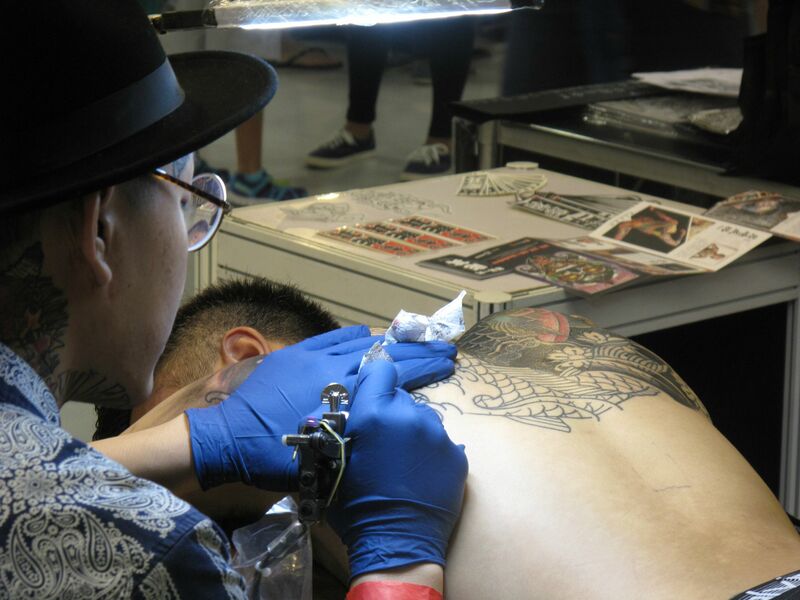 The event brought over top tattoo artists from Taiwan, Japan, South Korea, mainland China, Europe, the United States, Britain and South Africa — as well as talents from local studios. 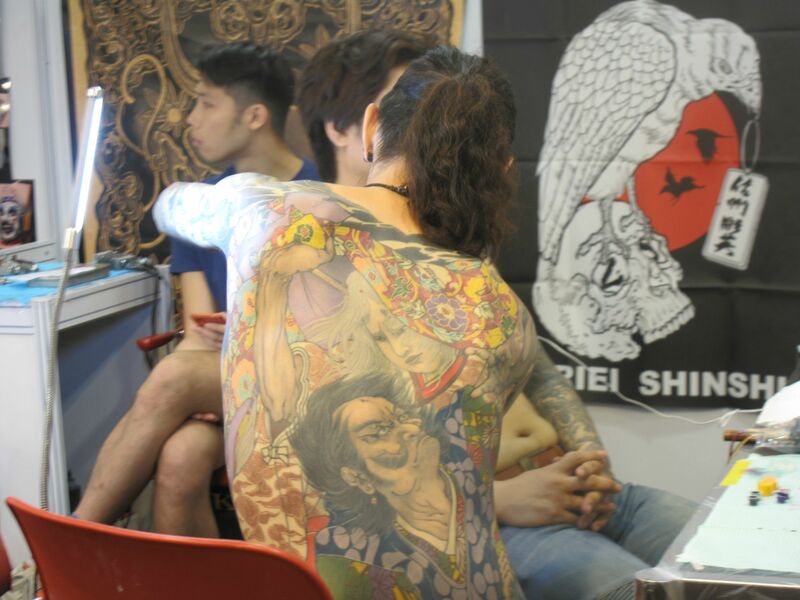 Studios from around the region brought along living samples of their work while some visitors had walk-in sessions with the artists. 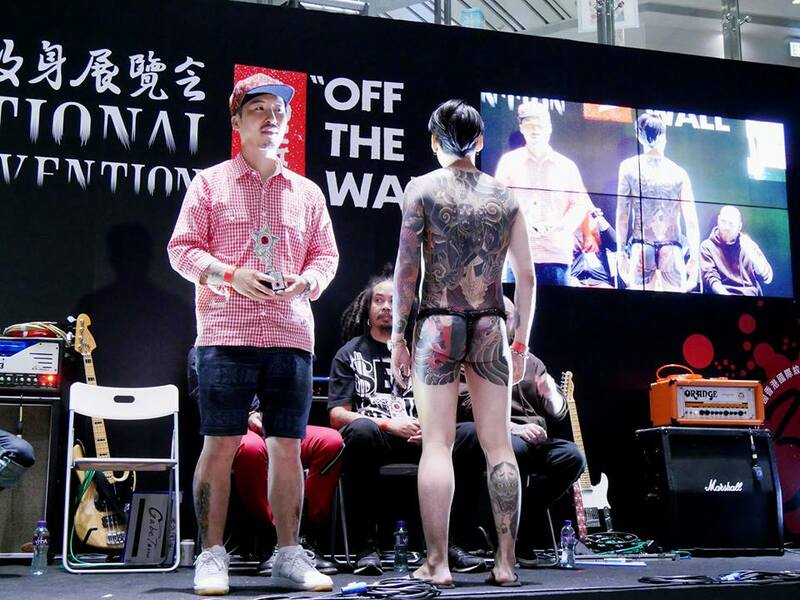 Competitions were held to determine some of the best work completed by the artists on site, and each evening saw live performances by local bands.